It's been a while since I posted anything. In fact, it's been a while since I've done anything, being busy all summer with my other job. I did get the outfits I posted about last time (Feb 13) just about finished. One is done and I have a final fitting on the other. 1890's, early 1900's - this one still needs the final fitting and a few finishing stitches here and there. On November 10th, my husband and daughter joined me for a small fashion show with my mom, Lady Carolyn. It was fun. 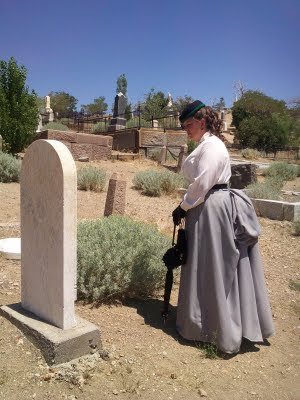 And in July, I dressed in 1870's and headed to the cemetery in Virginia City, NV for a portrayal/living history of Mary Harris who lived in VC during the 1870's and is buried in the cemetery. I received the deposit for two new outfits today. 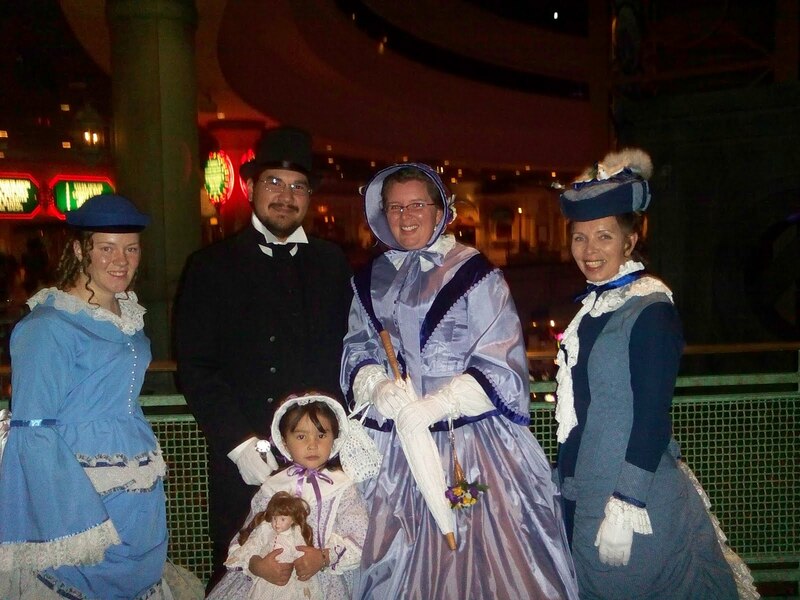 They will be late 1800's/ early 1900's outfits with interchangeable skirts and jackets. I am excited to get back in the sewing room and create some new garments. Keep tuned in for updates.